This Standard is intended for use with components and devices not covered by other NSF wastewater standards. 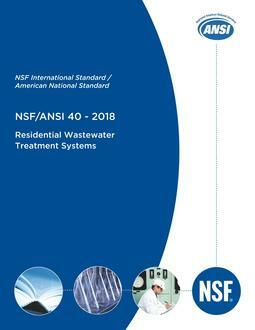 Components and devices covered by this Standard are intended for use with greywater or blackwater, or both. Management methods for the end-products of these components and devices are not addressed in this Standard. This Standard shall in no way restrict new system designs, provided that such designs meet the minimum specifications described herein.